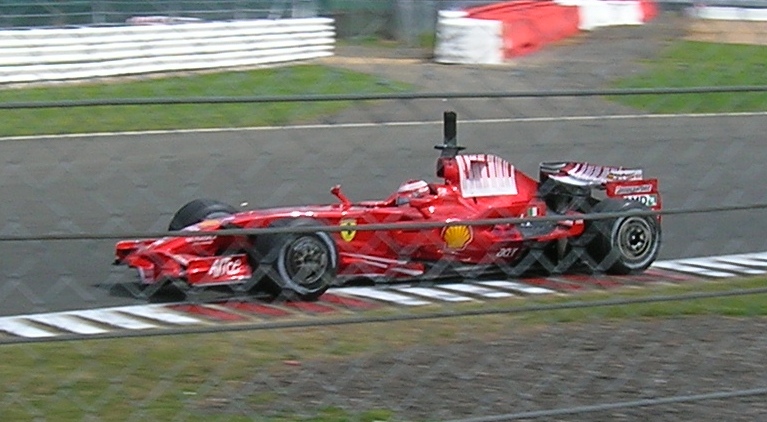 Posted on 26 June 2008 by Wizzard PrangPosted in F1Tagged F1, Ferrari, Silverstone. having tried photography at Brands Hatch, I agree that even a decent camera with a zoom lens won’t help. the really good angles tend to have camera points set up… and you need a really big lens to make those worthwile as well! Back in the day I used to get good action shots using my film SLR with a 200 or 300 lens. Brands was particularly good – infield at Druids you had the pick of locations plus because it was the inside of the corner (so cars never came off in your direction!) there was no fencing to get in the way (assumes wistful expression…). Note to self – find those old prints in the loft and scan some onto the website!